Pallets, for more parking, less space. It’s so simple, yet so effective. No one will ever get blocked in the garage again with parking pallets. Park cars on unused surfaces or even driveways without blocking other spaces in use. More spaces means happier tenants, customers or employees. Cars are simply parked on pallets than can be shifted—it’s like a giant game of Tetris, but easy. 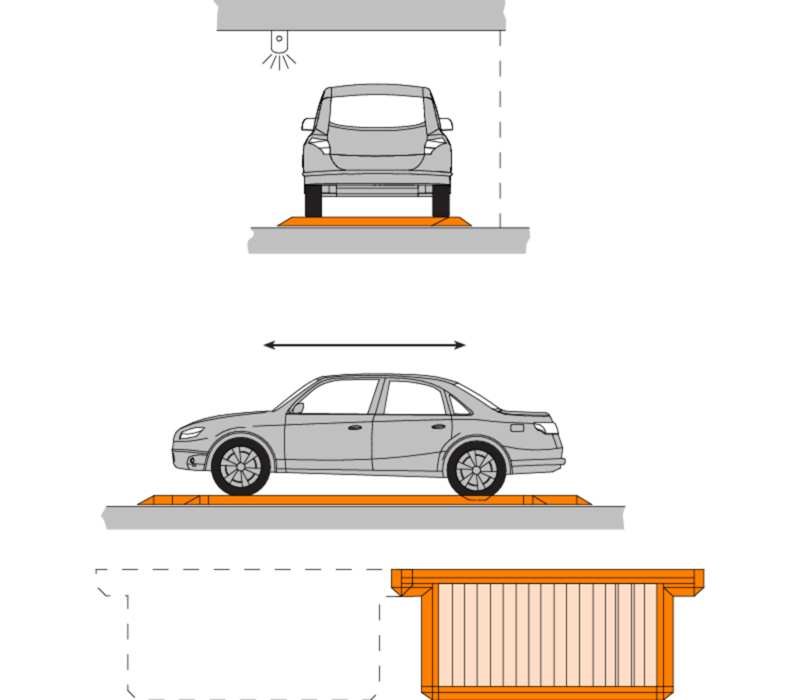 If other cars become blocked, the pallets can simply push cars out of the way to gain access. 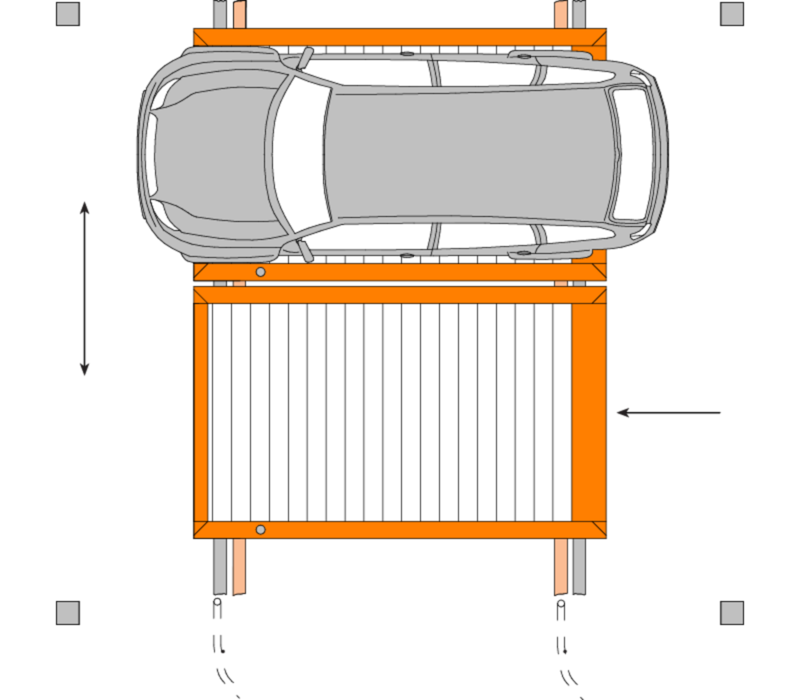 By means of an electric motor, the park pallets moving on rails are transversely shifted at the push of a button.